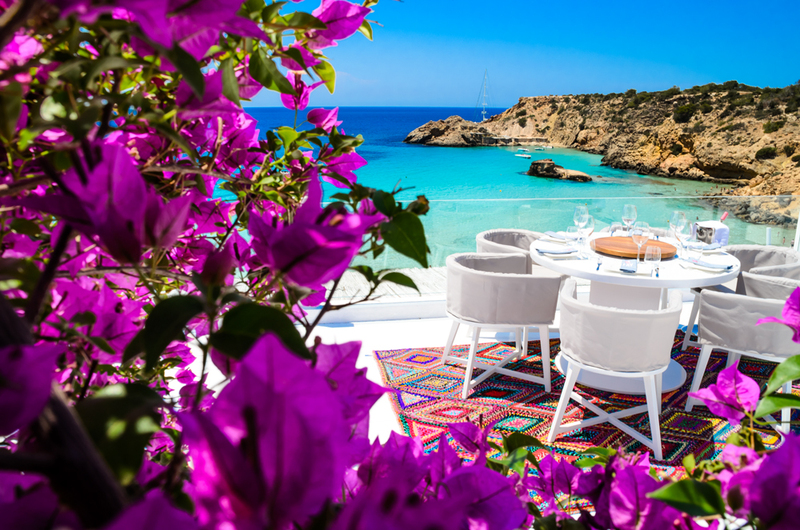 A beautiful bay on the west coast of Ibiza, and home to the famous Cotton Beach Club poised on a cliff above the beach. Being our “home port”, you will of course receive special treatment when arriving for lunch on one of our boats or yachts. 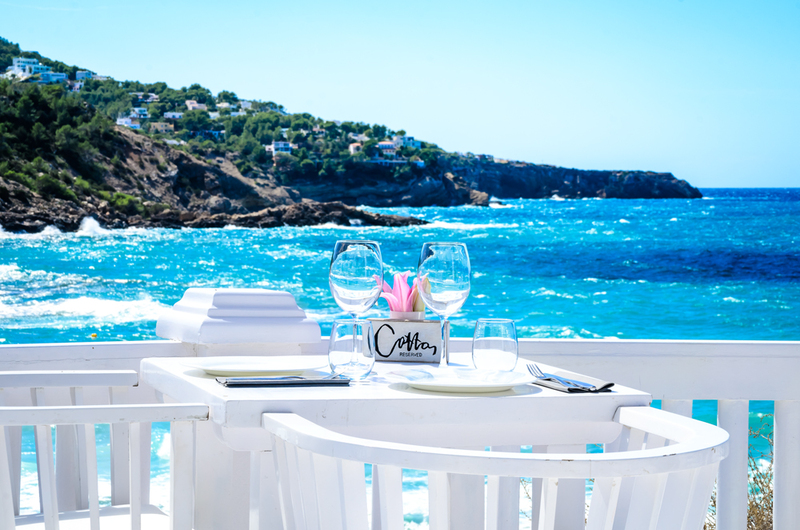 Boasting two first class restaurants and outstanding beach service, Cotton Beach Club features jaw-dropping views across the Mediterranean and a sandy beach below, clear of seaweed and rocks. 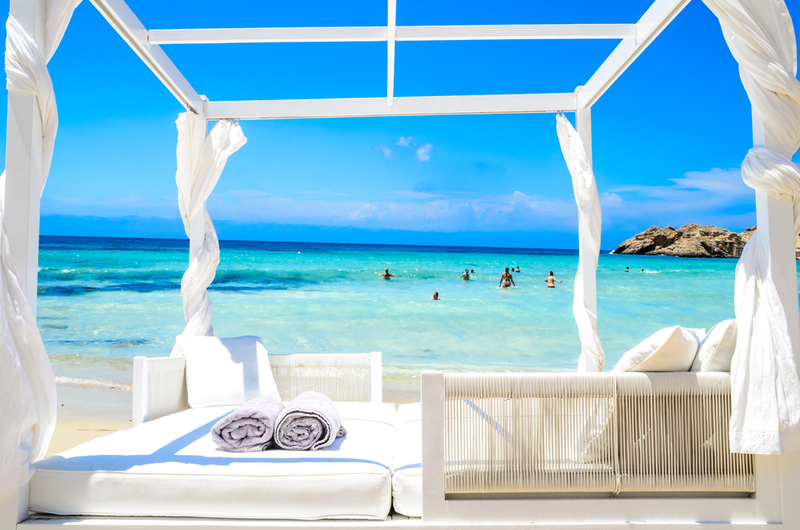 Decked all in white – 100% cotton of course – with chic furnishings and stylish day beds, Cotton Beach Club is the epitome of the white island style. 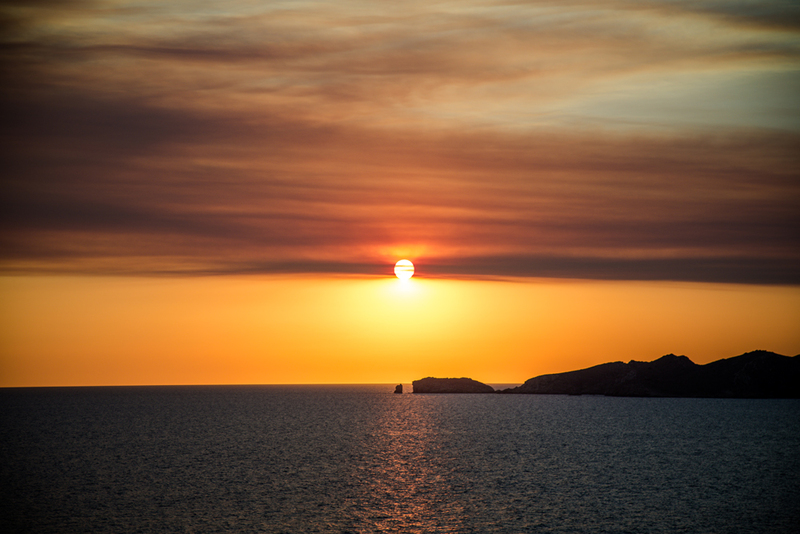 Make sure to stay for the sunset, it’s arguably the best spot on the island to enjoy a sundowner.